2019 marks Honda’s 50th year in Canada. In celebration of Honda Canada’s 50th anniversary, we’re looking back on some of the accomplishments we have made! Formally established in 1948 by Honda Soichiro and Fujisawa Takeo, Honda Motor Company has grown into one of the largest automobile manufacturers in the world. Honda’s first engineered product was the “Dream” D-type motorcycle. Soon after, in 1963, the company designed its first automobile, the Honda T360. 1969: Despite a Honda subsidiary being established in the United States in 1959, Honda doesn’t arrive in Canada until 1969. At the time of its formation, Honda Canada started small, selling only motorcycles and power equipment. 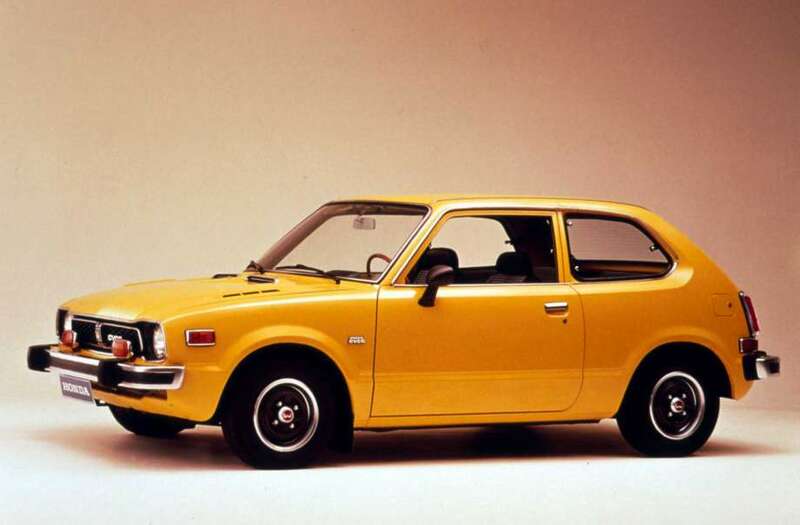 1973: Ten years after the Honda T360 was designed and sold in Japan, the Honda Civic arrives in Canada. The arrival of the Civic allowed Canadians access to a small but powerful subcompact car. To this day, the Honda Civic remains one of Canada’s most popular vehicles. 1976: As the desire to own a larger vehicle grew, Honda developed the Accord. The Accord was a spacious alternative to the previously released Civic. It was the first vehicle built in the new automobile manufacturing plant in Alliston, Ontario. 1987: The Acura became the first luxury nameplate from a Japanese automaker in Canada. The company promoted its “precision crafted performance” and offered two models of the car: The Legend and the Integra. Both vehicles have won various awards and have appeared on Car and Driver’s 10Best numerous times. 1988: Alliston, Ontario’s automobile manufacturing plant became the primary supplier of three-door Honda Civics to North America. Today, Canada continues to manufacture the Civic and CR-V.
1991: Honda’s popularity amongst drivers continued to grow as the company sold its one-millionth vehicle in Canada. 1996: The Acura 1.6 EL became the first Acura built in Canada and a Canadian-exclusive vehicle. The Acura EL was labelled a success, remaining as the top selling Acura model in Canada from 1997 to 2003. 1998: By 1998, Honda Canada had grown big enough to justify opening another automobile manufacturing facility in Alliston. This was where the Honda Odyssey was first built. 2000: North America’s first gasoline-electric hybrid, the Honda Insight arrives in Canada. Its first generation was a three-door, two passenger liftback before it was redesigned into a five-door, five passenger liftback in 2009. The small, light and streamlined design made the Insight the most aerodynamic car at the time of its production. 2002: Once again, Alliston’s automobile manufacturing plant became responsible for the production of a new Honda vehicle. This time, it’s the Honda Pilot. 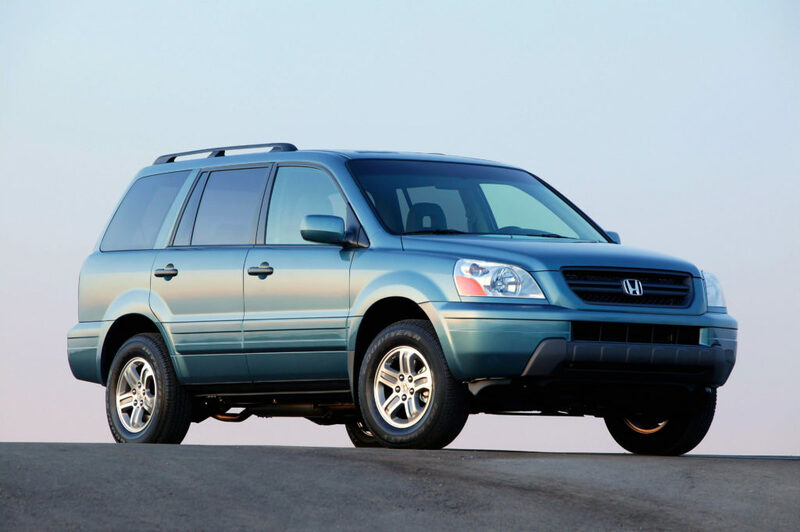 The Pilot was and still is Honda’s largest SUV, featuring three-row seating. While production of the Pilot originated in Alliston, it has since been moved to Lincoln, Alabama. 2005: Honda established the Honda Canada Foundation. Dedicated to enhancing the lives and social well-being of Canadian communities, the Foundation assists in helping registered charities. Among the charities and community organizations supported are the Make-A-Wish Canada Foundation, Forest Recovery Canada, The Gibson Theatre School, Canadian Red Cross, and the Yellow Brick House. 2015: The Honda Accord celebrated its popularity after making Car and Driver’s “10Best” list for 30 years. 2017: After spending many years monitoring environmental impact through vehicles, Honda decided to design a car that would run on two types of fuel. The Clarity Plug-in Hybrid is capable of 76 kilometres using only electric fuel. 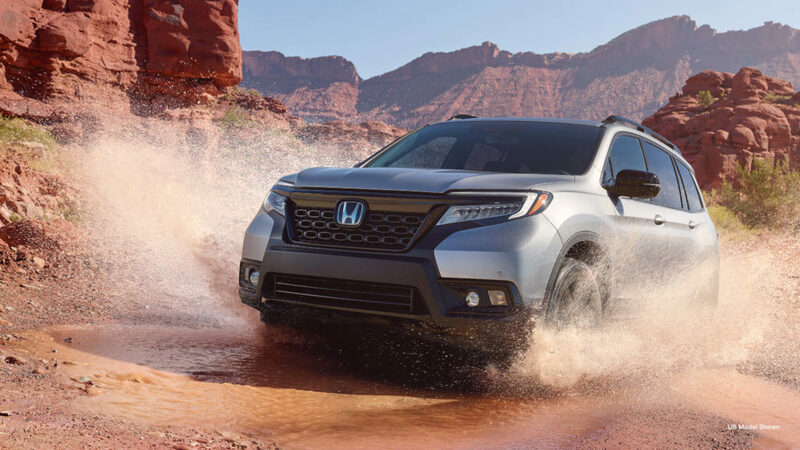 2018: In November, after seventeen years off the market, the revival of the Honda Passport is announced. Originally part of a partnership between Isuzu and Honda in the 1990s, the Passport is one of 2019’s highly anticipated SUVs. 2019 and beyond: “Our Global 2030 Vision guides our imagination, as we build products designed to bring joy to those who use them. We’re enabling the realization of dreams, contributing positively to Canadians well into the future.” – Dave Gardner, President and CEO of Honda Canada Inc.
How will you be celebrating Honda Canada’s 50th anniversary?